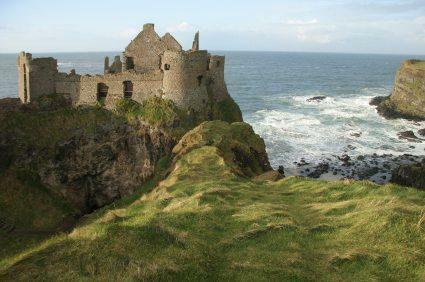 If your ancestors emigrated from the Emerald Isle, studying Irish family names can give you some insights into their lives back in the home country. When doing family history research, it's easy to get bogged down in the long lists of dates and names. This can be especially problematic when your research takes you back before the use of photographs. Without a face or any personal details, it's hard to feel a personal connection to some of these individuals. Luckily, family names can provide a clue about your ancestors' occupations, places of residence, and parentage. Some surnames even offer details about an individual's appearance or personality characteristics. For genealogists researching a family centuries after the name was chosen, these details can add some much-needed dimension to the simple facts of a person's life. In early Ireland, surnames were largely unnecessary. Due to relatively sparse population and little migration of individuals, most early Irish people were known by a single name. Around 1000 AD, a second name was added to help identify a person's membership in a clan, and later these names were further refined to express a particular group within the clan. When the English officially colonized Ireland in the 1600s, many Irish families took a more English-sounding name. Having a Gaelic name could put the family at a disadvantage under English rule. In the late 1800s, a revival of these original Gaelic names causes some families to revert to the older versions of their surnames. This can result in some confusion for modern genealogists. In Ireland, it was possible for a name to describe more than one quality. Often, the original name referred to a personality characteristic, but the addition of "Mac" or "O" to the front of the name indicated that the individual was a descendant of the person displaying that characteristic. For instance, the surname "Gallagher" means one who loves people from foreign regions.. When "O" is added to the name to create "O'Gallagher," the name now means the grandson of a person who loves people from other regions. Typically, "Mac" refers to the son of an individual, while "O" refers to the grandson. In 1890, Robert R. Matheson commissioned a special report on family name distribution in Ireland. Although the report came after many people had already immigrated to the United States and Canada, it does provide a great deal of information on the popularity and local distribution of surnames. Murphy - This name originally referred to someone who fought the sea, and it was popular throughout the country. Kelly - This surname means one with bright hair (probably blond), and it was most common in counties Cork, Dublin, Galway, Mayo, and Roscommon. O'Sullivan - This name meant someone who was descended from a person with dark eyes. The name was most popular in counties Kerry, Cork, and Limerick. Walsh - This family name referred to a person of Welsh descent and was popular in several counties, including Cork, Dublin, Galway, Mayo, Waterford, and Wexford. Smith - This name referred to an individual descended from the town blacksmith. It was popular throughout Ireland, but the most common locations were counties Antrim, Cavan, and Dublin. Ancestry Ireland has a searchable database of Matheson's special report of 1890. Irish Names has the meanings behind the 100 most popular names in Ireland. Rootsweb.com has a county-based list of popular names. Behind the Name has a list of meanings for first and last names of Irish origin. Once you are able to identify the surnames of your Irish ancestors, you can incorporate any information you find into your genealogy research. In addition to the personal family information you can discover, you may also be able to find your family's coat of arms or crest. Be sure to record any research in your paper files or genealogy software so you can reference it later.